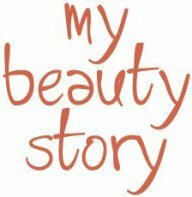 「Mybeautystory」- LOWEST PRICE EVER! LANCOME JUICY SHAKER! [Lancome]LOWEST PRICE EVER! LANCOME JUICY SHAKER! Netural When is expiry date? Arrived but not sure when expiry date is. It came with two products that were three yrs old so I wonder if this is as old too. Like the colour. Glides on easily. Planning to get more as gifts when there is a sale. fast delivery, nice color but darker then expected. but cover seems a bit too light weight not sure if it is genuine. but texture and all seems good. The colour I chose not very obvious against my lip. Feels oily rather than moist. Love the mango wild. Pink. Moist. Received in good condition and we'll packed. Second purchased with lower price, great deal! hi, the packaging seems to be different for different shades of juicy shaker. may I know why? like the normal juicy shaker is a short and fat tube, but some reviews show a normal thin long one. Some are testers, some are counter packaging.